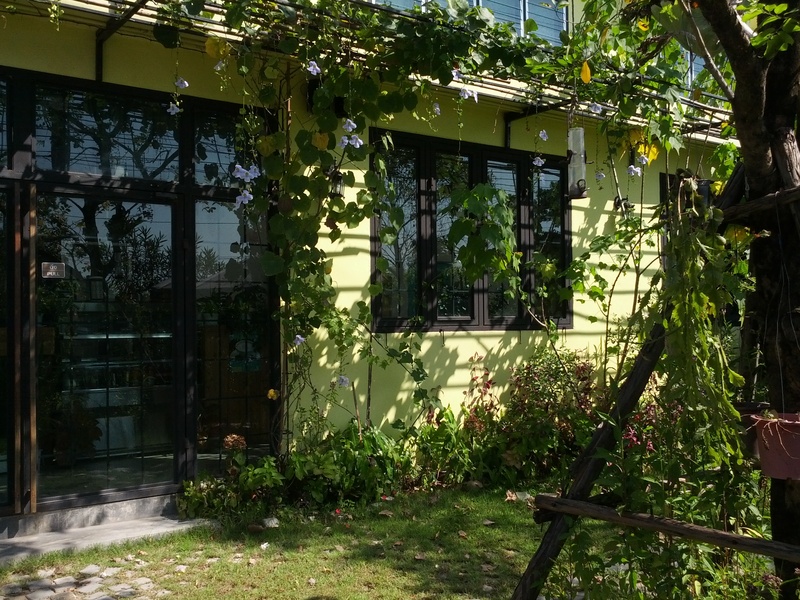 Until next time – I shall be writing about a little hidden away café on Nakon-In road. If I made a list of all the places I discovered in my neighbourhood in 2013, Café de Flore would be at the top of it. 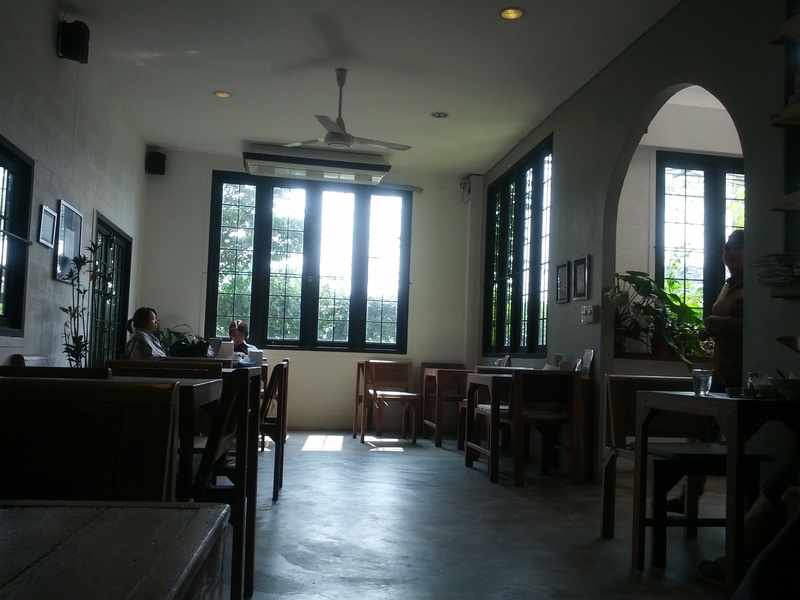 This little café can be found on Nakon-In road, right by the roundabout where Nakon-In intersects with Ratchaphruek road. This [enter GPS coordinates: 13.824811, 100.446730] is where I’d place it on Google Maps. If this helps, it’s right next to a car wash (which is easier to spot coming from Eastbound Nakon-In). 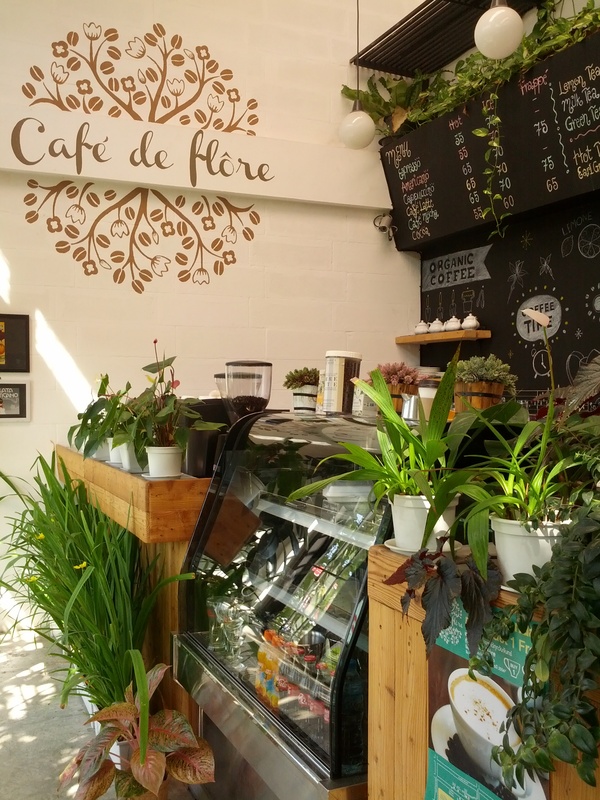 I’ve been to the café a few times and wholeheartedly recommend it for fellow café lovers. 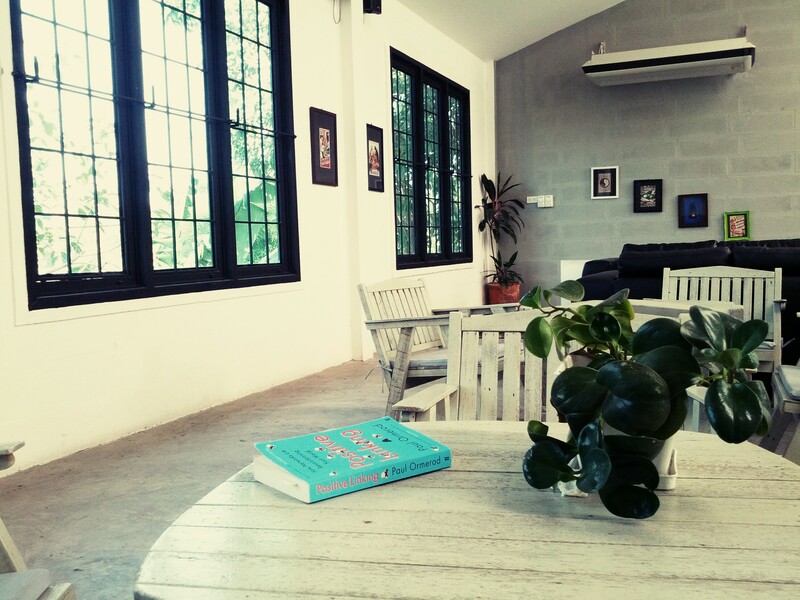 It’s one of the most relaxing cafés I’ve been in, if not the most. You walk in and instantly feel at ease. 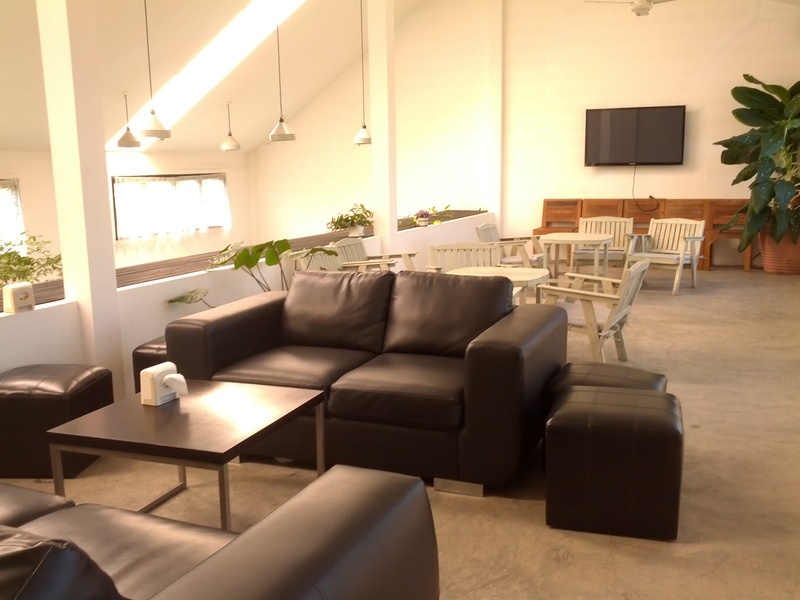 The café is set on two floors, has a high ceiling, and boasts plenty of windows that let in just enough natural light to make you feel like you were sitting outside (but with the benefit of air conditioning – so you get the best of both worlds). And, as the name suggests, it is generously decorated with greenery. Not plastic trees, actual trees. The place is a breath of fresh air. The entrance is a bit underwhelming, but you will not be disappointed once you walk through that door, promise. Ta-da! As you come in, your eyes are instantly drawn to the big, sprawling tree in the middle of the café. It’s impressive. And more so in real life. Walking the length of the café brings you to a larger room with tables and sockets – perfect for working/studying. Please excuse my lousy picture taking – it’s actually pretty bright. 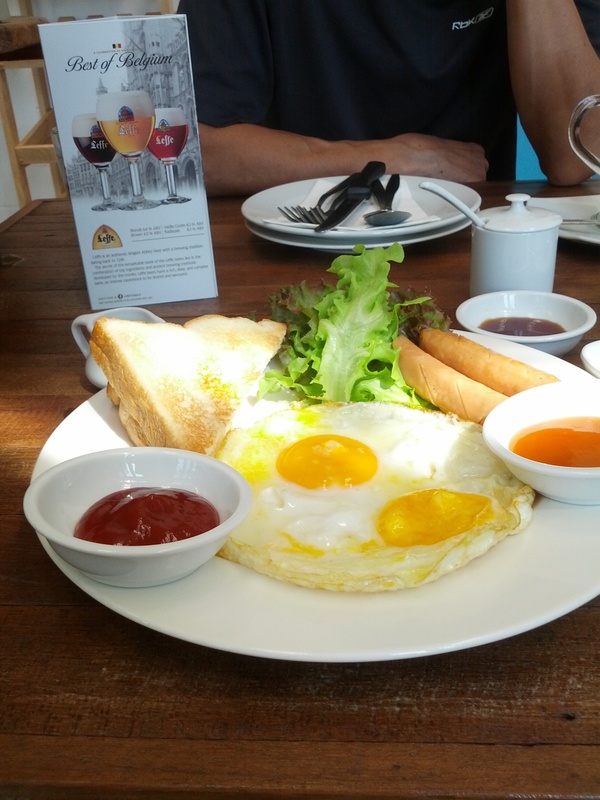 The first time I went to the café was to have Sunday breakfast with my dad. I ordered the breakfast set pictured here. No, it wasn’t the best breakfast I’ve ever had. I just want to let you know they do breakfast. 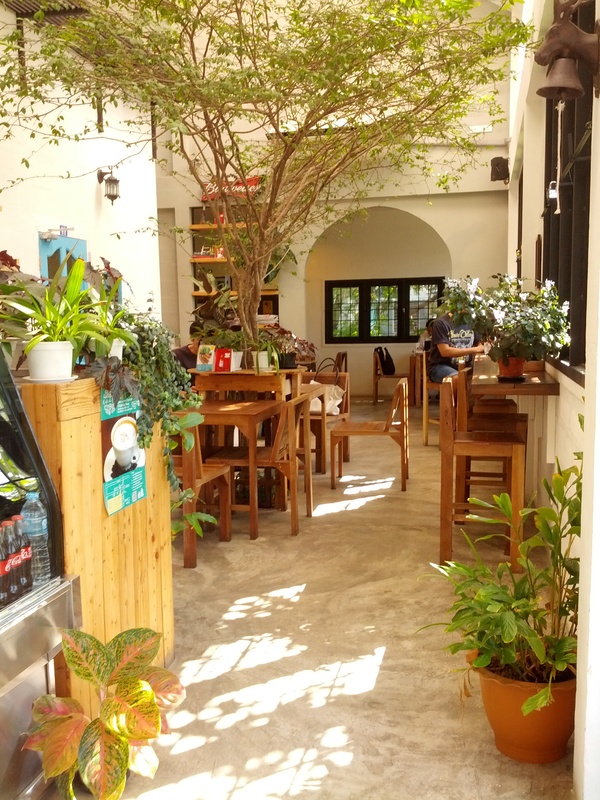 On another visit, we had lunch – salad, pasta, the usual grub you’d expect to find in a Bangkok café these days. And the food was entirely acceptable. As always, I order a macchiato. 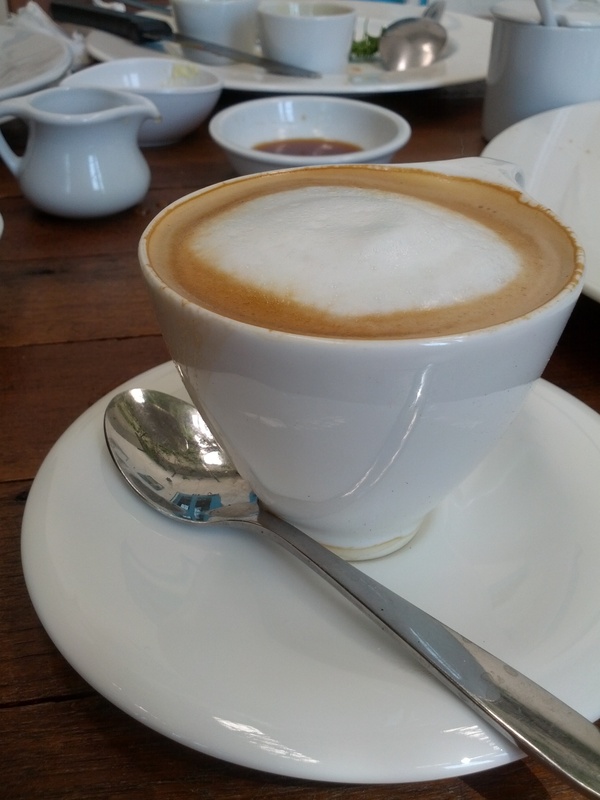 It’s my first test of whether a café has good coffee or not. (The second test is how it tastes, obviously.) My theory is, if the owner and/or the barista do not know what a macchiato is, they can’t possibly be serving good coffee. And to my delight, the owner (who happened to be in that day) took my order without hesitation and proceeded to ask me if I’d like to try the coffee of the day. Now, it has been a while since I last went to the place, but back in 2013, the café always had two beans for you to choose from: the beans they normally used, and the daily specials. The specials were brought back from the owner’s trips abroad as well as gifted by friends of the café and fellow coffee lovers. It’s a nice system. I wonder if they still do it. My macchiato, which was good. It was just the right temperature (over-heating coffee is a heinous crime) and had the right amount of foam. If I had to mention a negative, it’d be that service is on the slow side. Courteous, but slow. The food takes a while to come out. And if the place is half-full, even drinks are going to take some time. So I wouldn’t go there to grab a ‘quick bite’. It’s not that kind of place. Head upstairs for comfy sofas that you can sink into and while away the afternoon, undisturbed. Do give the place a try and let me know if you like it.